This was not about the millions who are left at the mercy of the half-prepared messiahs in charge of hospitals. 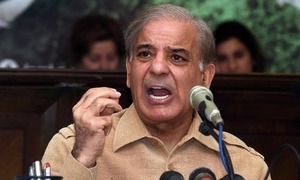 Punjab health minister says Sharif is being provided state-of-the-art healthcare facilities. 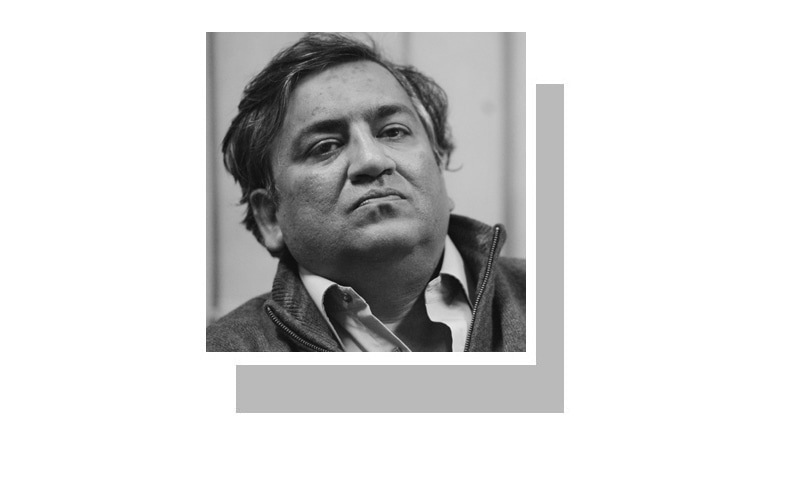 PPP says “the only purpose of Bila­wal’s visit to the jail is to inq­uire after the health” of the PML-N leader. 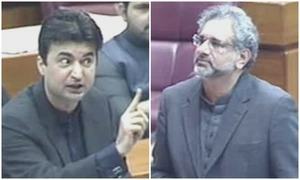 Joint opposition meeting convened on 18th. 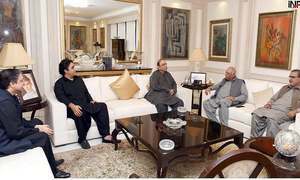 Sources say discussion over possible PPP, PML-N alliance to meet approaching political challenges. 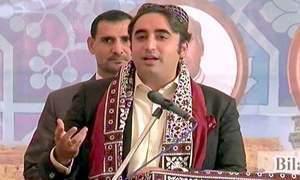 PPP leader hints at joint protest movement against government. Meeting over PAC chairmanship ends without any agreement between opposition, government. Expresses concern over anti-encroachment drive being carried out by PTI government. 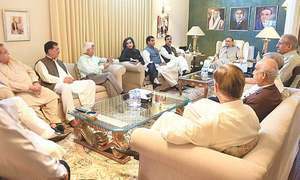 Opposition seeks arrest of ruling party members facing NAB inquiries. 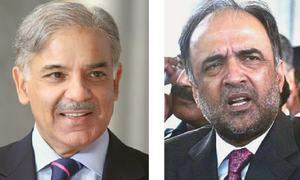 PML-N has awarded tickets to ex-senator Saud Majeed and ex-federal minister Saira Afzal Tarar. 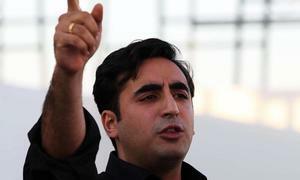 PPP leader says party chairman foiled the attempt by the "selected government" to "divide the opposition". 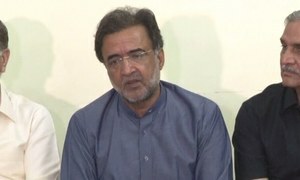 PPP co-chairman says he will discuss PTI government's "incompetence" with all political forces. 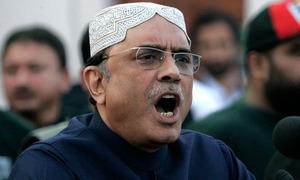 Former president says political parties should unite and pass a resolution against current govt. 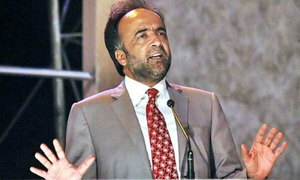 PPP secretary general says both parties will support each other candidates and participate in election campaign. 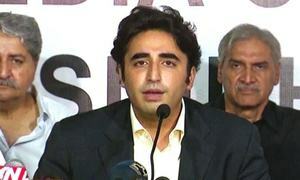 PML-N accuses PPP of colluding with the establishment, PPP blames 'media speculation' for lack of consensus. 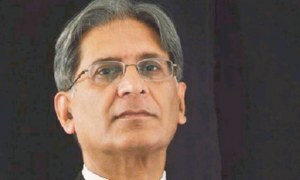 “It is not possible for us to withdraw Aitzaz Ahsan at this stage,” declares PPP Secretary General Farh­atullah Babar. 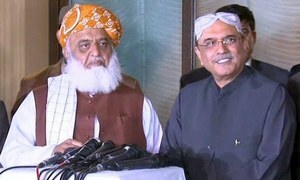 Before holding a meeting with Zardari, Fazl claims he will finally emerge as joint candidate of opposition. Say it was never an alliance to begin with — "it was an arrangement". 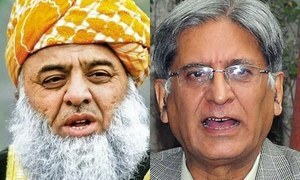 Maulana Fazl is the joint nominee of all opposition parties except PPP, Ahsan Iqbal announces. 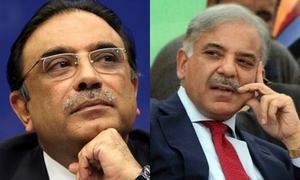 PML-N sought to replace Sherry days after the PPP refused to back Shahbaz during the election for prime minister. Hamza Shahbaz is being tipped as the possible candidate for the opposition leader in Punjab. 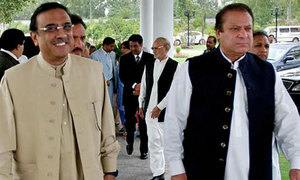 PML-N committee to discuss multi-party conference decisions; PPP will ponder over party’s poor show in Punjab. 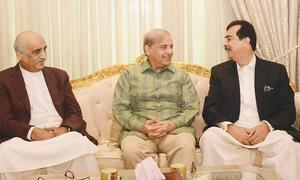 In talks with PML-N, but have decided in principle to sit in opposition in Punjab Assembly, says Yousuf Raza Gilani. 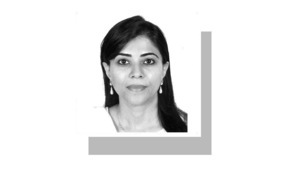 At present, PPP’s Sherry Rehman is opposition leader in Senate. 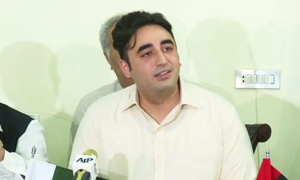 PPP spokesperson says only one party being allowed to run campaign smoothly. 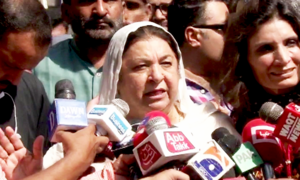 PPP leader says Nawaz Sharif is a convict who is not entitled to a reception by people.